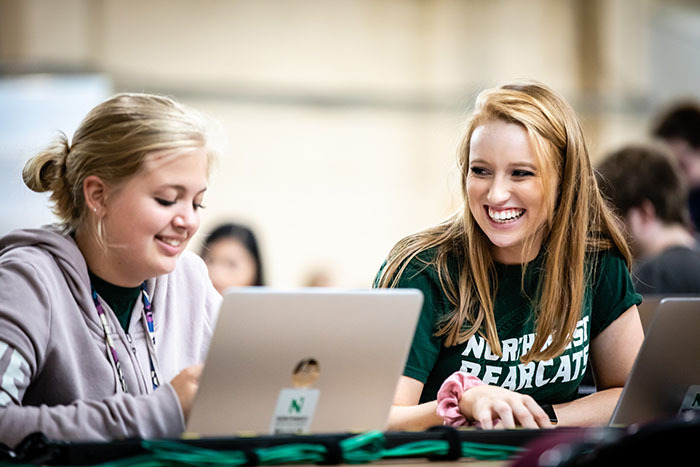 Northwest Missouri State University will celebrate 20 years of providing affordable online education through its Northwest Online program with an anniversary reception Tuesday, Feb. 12. The public is invited to attend the event from 3 to 5 p.m. on the second floor of the B.D. Owens Library. Refreshments will be provided, and a program at 4 p.m. will feature remarks from Dr. Darla Runyon, director of the Learning and Teaching Center; Dr. John Jasinski, president; Dr. Dean Hubbard, president emeritus; Dr. Jim Eiswert; Northwest Online faculty member; and Dr. Gregory Haddock, associate provost of graduate studies and special programs.